This option is a majestic circuit in all its tempting and boundless variety. The charming of nature must surprise you in every aspects when you place yourself in it. This adventurous tour will be worth your indulging. 8:00 am Pick up from your hotel in Nazca and start the tour. We will visit the Paredones ruins, the Acueducts of Cantalloc. The Acueducts of Cantalloc are still in working order and essential to irrigate the surrounding fields. The Nazca stonework is fine, and it is possible to enter the acueducts through the spirling ventanas (windows), wich local people use to clean the aqueducts each year - a wet and claustrophobic experience. We will come back to the hotel in Nazca a t about 11:30 am. In the afternoon we will take the bus and go to Lima (21:00 Arrival to Lima - Bus station Av. Javier Prado). Very early in the morning we will pick up from your hotel, we will go to the Ollantaytambo train station. Then, you will take the train to get Machu picchu town (the train lasts about 2 hours). 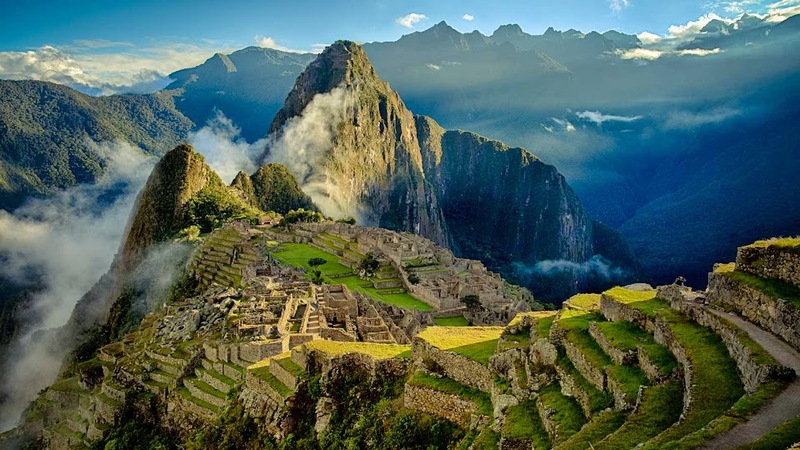 Then, we will pick you up from the Machupicchu train station and transfer to the bus station. We will take the early bus up to the stunning archeological complex of Machu Picchu (The bus ride lasts about 15 minutes). After that, you will meet your guide and other group members.